We all know Cyclops has been the leader of the X-Men for a long time. Heck, it’s sort of ingrained into his personality already. He’s the silent and boring character whose job is to reprimand the cool heroes like Wolverine or Gambit whenever they do something awesome and reckless. What a lot of people don’t realize is that leading a group of super-powered individuals, each with their own idiosyncrasies and gigantic egos, is no mean feat. Being able to order, coax, cajole, sometimes even manipulate his people to get them to perform the way he needs to is already another mutant power in itself. Yet Scott Summers was able to do so consistently during the darkest period in mutant history and lead the X-Men out of one impossible situation after another. Below are some of the battles that the X-Men fought in helmed by Cyclops. Using all his learned tactics and strategies, Cyclops pulls out a string of stunning victories despite being either handicapped by lesser troops or unfavorable circumstances. Let’s start with an even battle that shows Cyclops’s skill at pre-planning. During the events of Dark Reign, Norman Osborn, the former Green Goblin, became the head of HAMMER, the peacekeeping force that replaced S.H.I.E.L.D. Among his many actions, Osborn created his own set of X-Men, commonly known as Dark X-Men, and was hellbent on eliminating Cyclops and his group from San Francisco. After a few skirmishes and maneuvering, things finally came to a head when Cyclops had his science team raise Asteroid M, Magneto’s old orbital space station, from the depths of San Francisco Bay, and announced that the X-Men had left the United States due to Osborn’s actions against mutants. 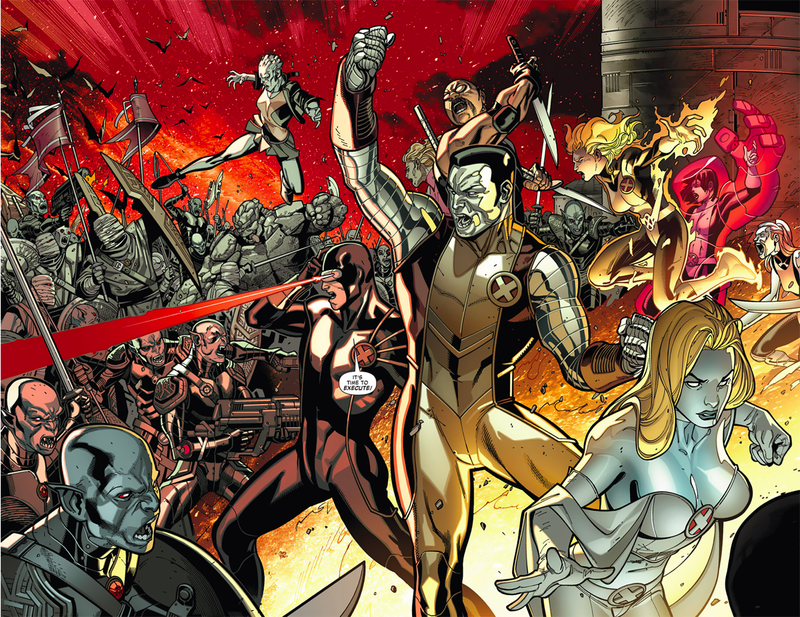 His reputation on the line, Osborn assembled his formidable Dark Avengers, along with the Dark X-Men, and invaded the asteroid. With heavy hitters such as the Sentry and the war god Ares on his side, Osborn was confident of an easy victory. What he didn’t count on, however, was Cyclops’ detailed preparations. Cyclops first took out Osborn’s big guns – he had Emma Frost link herself telepathically with the Sentry and brought out his human persona: Bob Reynolds, who then took control and flew away from the fight. For Ares, Cyclops had Dani Moonstar reach out to the Asgardian god Hela weeks before to borrow powers specifically to take down a god. 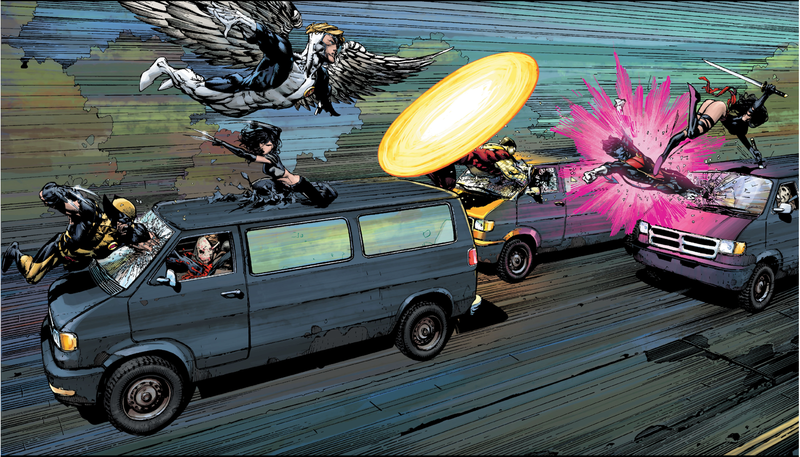 The rest of the X-Men swarmed the handful of Dark Avengers and Dark X-Men fighters – Colossus took on Marc Gagan with the Venom symbiote, X-23 fought Daken dressed as Wolverine, Archangel fought Bullseye parading as Hawkeye, Wolverine against Omega. It was complete pandemonium! But the real ace in Cyclops’s plan was not a mutant with powers, but simply inviting several reporters into Utopia to capture the live battle. His powerful soldiers being taken out one by one, Osborn finally demanded that the outgunned Dark Avengers not hold back anymore and simply kill every mutant on the island. But with the media broadcasting everything live, his order was countermanded by his lieutenant Moonstar, who reminded him that it would be public relations suicide if the whole world witnessed a massacre. Tucking his tail between his legs, Osborn was forced to call a retreat. For the X-Men, it was a resounding victory in the sense that they managed to establish an independent nation out of the United States control. This is actually one of my personal favorites. X-Men Second Coming was a crossover storyline and the last part of a trilogy, with the first two being Messiah Complex and Messiah War. Cable and his ward, Hope Summers, return to the present time and trigger an all-out attack by the combined enemies of the X-Men: the Right, the Purifiers, the Sapien League, and the Mutant Response Division all pooled their resources and manpower under the leadership of Bastion. Intent on eliminating the supposed Mutant Messiah, Bastion commits all of his forces into making sure the extinction of mutantkind pushes through. First, he systematically takes out all of the X-Men’s teleporters (Vanisher, Magik, Ariel, and Nightcrawler), then traps Utopia and a portion of San Francisco under a large energy dome. Inside, a small portal from the future materialized and started churning out Nimrod-type sentinels in successive waves. Cut off from the rest of the world without reinforcements, the X-Men battled it out with the Nimrods within the streets of San Francisco, using the familiar terrain to their advantage. Despite their valiant efforts, the number of their injured increased steadily, as did the number of Nimrods coming out of the portal with each new wave. Their backs to the wall, Cyclops decided on a long gamble and sent his black ops squad X-Force into the future to shut down the source of the Nimrods. The decision was a particularly hard one since Cable only had one time jump left, meaning the strike team would not be able to come back. Cyclops had just ordered the death of his son and teammates. Meanwhile in the present time, Cyclops committed every available mutant on Utopia to assist in the city’s defenses. The situation was so desperate he even resorted to unleashing Legion, the extremely unstable and dangerous son of Professor X, to help with the battle. Luckily, Cyclops’s gamble paid off when X-Force succeeded in shutting down the source of the Nimrods. They even found a way to return to the present time at the cost of Cable’s life. Rebuffed, Bastion decided to take matters into his own hands and attacked the reeling X-Men head on. But seeing her foster father die in front of her triggered something within Hope, enabling her to harness her powers and obliterate Bastion and the energy dome trapping the X-Men. This was probably, in my opinion, the closest the X-Men came to extinction. When Xarus, son of Dracula and leader of the united vampire clans, decided to make San Francisco the new home of the vampires, he extended a friendly hand towards Cyclops and offered to conquer the world with the mutants, except his real ulterior motive was to turn all of the X-Men into vampires. Cyclops responded as any sane person would and sent teams of X-Men to eradicate the city streets of vampires with extreme prejudice. Their efforts were still not enough though when a quick scan showed that the vampires vastly outnumbered the mutants in San Francisco – we’re talking thousands against less than two hundred mutants. Knowing that the X-Men wouldn’t be able to withstand a vampire assault of those numbers. Cyclops, against the advise of some of the X-Men, decided to resurrect their old foe: Dracula. Banking on the idea that the lord of the vampires would not be pleased with his son in charge, Cyclops decided that the calculated risk was worth it and set Dracula loose. After all, sometimes it’s better the devil you know. To add more bad news, Jubilee was captured by Xarus and unknown to them, had already been turned into a vampire. She was cunningly used as bait for Wolverine when he went on a rescue mission for her. He fell for the trap and was also turned into a vampire. 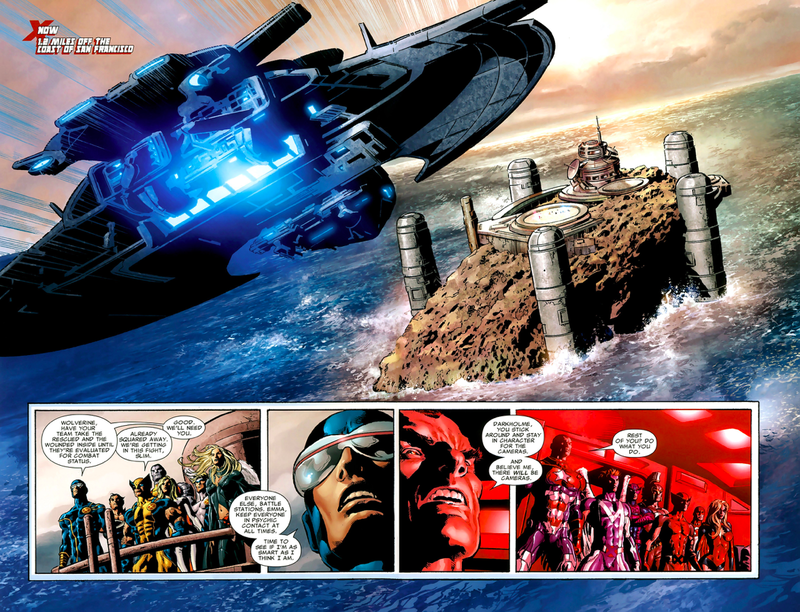 With the most lethal X-Men added to their massive numbers, Xarus launched an all-out assault on the island of Utopia through land, air, and sea. Cyclops rounded up all the mutants whose powers manifested in having a hard exterior or generated some type of armor, dubbing them his “tough skins,” and used them as his main infantry against the vampire horde. He then unleashed Angel’s dangerous alternate persona Archangel and fielded him alone against the group of flying vampires. Under water, Utopia was defended by Atlantean warriors led by Namor, who made the under level of the island their home after escaping extermination from Norman Osborn. Even unorthodox ideas were put into motion as Cyclops had a Catholic priest brought in to bless Iceman. The battle was ferocious and the mutants found themselves pushed to a corner. Xarus was eager to break their spirits and unleashed the vampire-turned Wolverine as the coup de grace. Wolverine proceeded to wreak further havoc on the mutants’ ranks and finally came face to face with Cyclops. It was here that Cyclops used his ace in the hole: fully knowing that Wolverine will be captured and turned, he had his science team inject Wolverine with nanonites that could turn his healing factor on and off. In that tense face-off, he activated Wolverine’s healing factor, which fought the vampire infection and reverted Wolverine into a mutant. 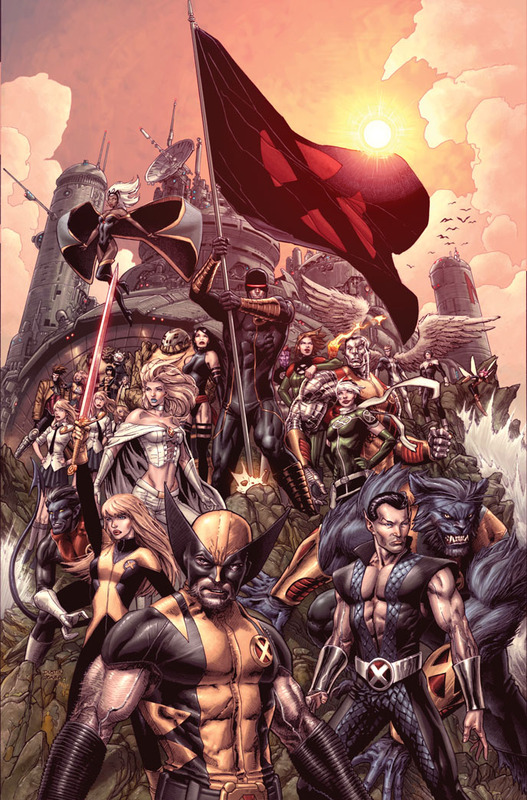 With his lethal lieutenant back on their side, Cyclops and the X-Men rallied and proceeded to clean house. Archangel and Namor easily routed the vampires on both air and land, and Iceman’s holy ice proved to be a devastating weapon against the vampire horde. The day ended with a resounding victory for the X-Men with zero casualties, while Xarus’s losses was catastrophic. Before Xarus could organize a second wave to attack Utopia, Dracula appeared in his lair and challenged him for the leadership of the vampire clans. The fight was a lopsided one and Dracula easily disposed of his son, ending the vampire threat in San Francisco. Cain Marko, also known as the Juggernaut, was among the seven individuals bestowed with a magical hammer by the Serpent, brother of the Asgardian ruler Odin. It turned the unstoppable psychopath into a near invulnerable mass of destruction called Kuurth, and he began trekking through San Francisco to root out the mutants residing there. Working with the city’s mayor, Cyclops started fielding his core team to assess Juggernaut’s new powers. 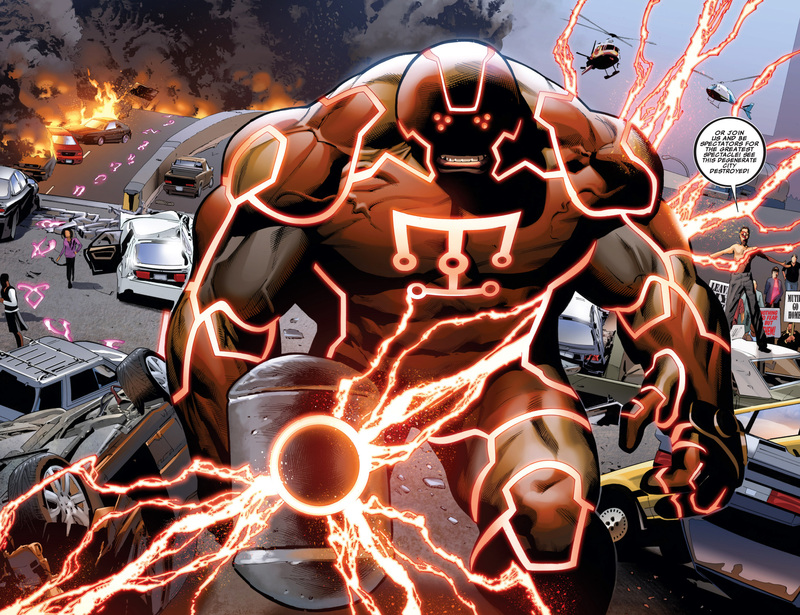 The plan was to remove Juggernaut’s helmet so that the X-Men’s psychics can telepathically take him down – the old tried and tested protocol against the Juggernaut. But with new powers from the hammer, the X-Men’s plan failed, which led to Mayor Sinclair asking about their Plan B. Cyclops then delivers an amazing line that highlights his pre-preplanning skills worthy of Batman. 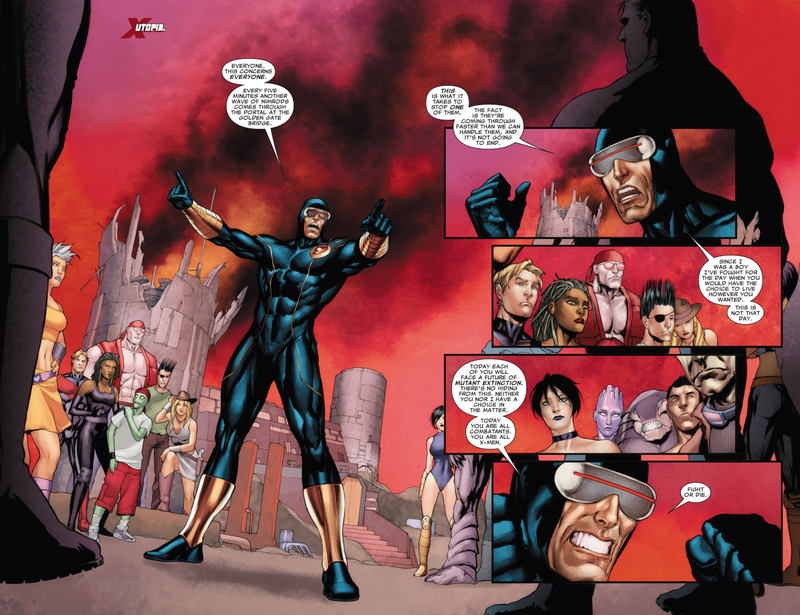 Cyclops’s next plan was to have all of Utopia’s mutants assemble near the front line. But instead of having a large number of students risk their lives, his real plan was for Hope Summers to absorb all of their powers. Hope charged into Kuurth and managed to forcefully remove his helmet before passing out from the strain. His helmet protection gone, the battle seemed over when Emma Frost tried to shut down Kuurth’s brain telepathically, only to be overpowered by his magically enhanced mind defenses and rendered catatonic. Their most powerful telepath and the mutant messiah out of the fight, Cyclops began using various mutant combinations to see what would work against the unstoppable Kuurth. All of them failed spectacularly until Cyclops finally lucked out with “Plan 13.” He released the dangerous Magik from Utopia’s prison in order to use her knowledge of the mystical and arcane. Accompanied by Kitty Pryde and Colossus, Magik made her way to the dimension of Cyttorak, the deity that gave Cain Marko his Juggernaut powers. Magik reported to Cyttorak that his avatar of destruction was being used by someone else, which had the desired effect of Cyttorak stripping Marko of his powers. In need of a new avatar that would sow destruction solely in his name, the demonic deity offered the role to Magik, but Colossus accepted in her stead. His already formidable mutant ability boosted by the destructive powers of the Juggernaut, Colossus immediately went to engage the lesser-powered Kuurth in a fight. Juggerlossus – as I like to call him, went toe to toe with Kuurth and managed to have the Serpent order his retreat rather than risk his death. Because of the X-Men’s efforts, and Cyclops’s leadership, no civilian casualties were recorded and collateral damage to San Francisco was kept to a minimum. During the Secret Invasion event, the shape-shifting Skrulls infiltrated the superhero community to spread paranoia and mistrust in order to conquer the planet. After subduing New York with their armada, a large Skrull task force was sent to San Francisco to bring it into the fold. 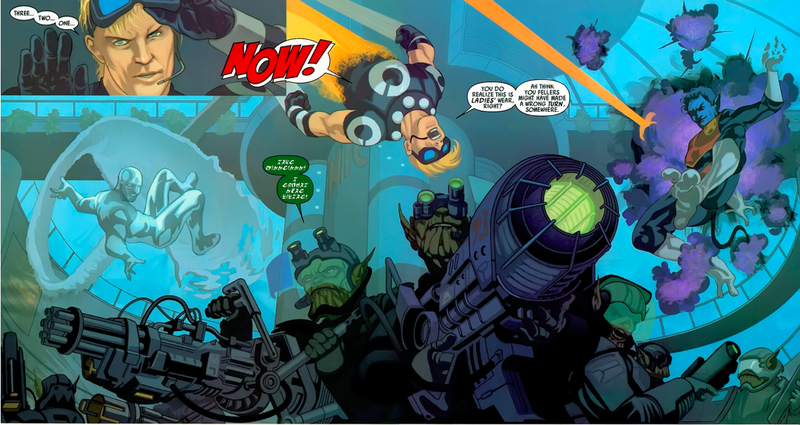 H’kurrek, the Skrull commander in charge of the task force, began his invasion by having his ships fire into populated buildings and air dropping Skrull troops into the ground that easily overwhelmed the local police force. However, his intelligence group failed to discover that San Francisco was under the protection of the X-Men. The mutants swiftly responded with a counter-attack and bested the Skrull ground troops with ease. H’kurrek then unleashed his Super-Skrulls – Skrulls augmented with the combined powers from Earth’s heroes. The X-Men were outfought and with injuries piling up, Cyclops called for a retreat to regroup and organize their attacks as the Skrulls successfully established a beachhead on San Francisco. Cyclops’s next move was using guerrilla warfare by utilizing all of the X-Men’s teleporters to simultaneously hit Skrull patrols in the city. H’kurrek considered it a stroke of luck when one of their search drones detected Pixie, one of the X-Men’s teleporters, alone without backup. Intending to have her dissected so he can add her mutant powers to the Skrull arsenal, H’kurrek sent a Super-Skrull fused with the powers of Cyclops, Wolverine, Colossus, and Nightcrawler after her. However, it turned out to be a trap laid by Cyclops as his black ops squad X-Force handily subdued the Super-Skrull and delivered its corpse over to Beast, who was looking for a way to neutralize the enemy. Frustrated by the turn of events, H’kurrek decided to round up human hostages into buildings and threatened to fire on them with his ship’s cannons unless the X-Men surrendered. His hands forced, Cyclops and the X-Men surrendered to the Skrulls willingly. Faced with a gloating H’kurrek, Cyclops surprised his opponents when he demanded the Skrull commander’s surrender. Turns out, the X-Men sprayed themselves with a variation of the Legacy virus, a devastating plague against mutants, that specifically targeted Skrull physiology instead. Beast, from his research on the Super-Skrull, figured out that the mutants and Skrulls share some similar genes that allowed the virus to be transferred. When the X-Men surrendered, they were actually infecting the Skrull fleet. Cyclops issued his terms in exchange for the cure, but H’kurrek decided to call his bluff. However, when he had one of the Skrull psychics read Cyclops’s thoughts, the psychic confirmed everything to be true. Realizing his complete defeat, H’kurrek decided to destroy his entire fleet rather than risk the chance of having the virus spread further. The city of San Francisco was saved yet again due to Cyclops’s willingness to use what some might call unethical options in warfare. Awesome! I’d love to see a list of earlier battles he won too.